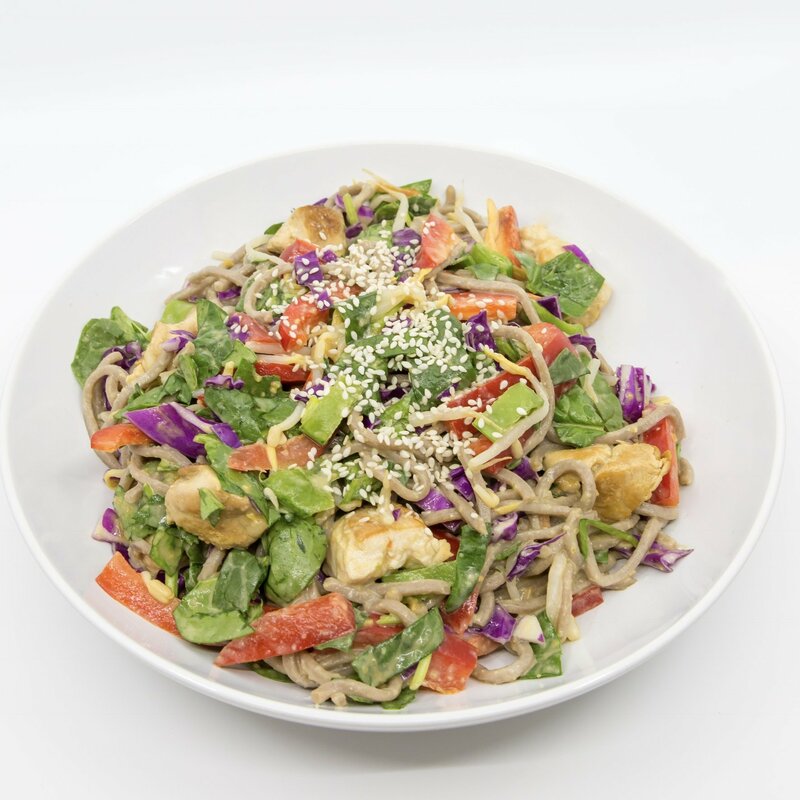 Dreaming of a delicious healthy noodle salad? Who would have thought that cold peanut butter noddles would pair so perfectly with chicken and veggies? This dinner meal is super delicious, cheap to make and will have your family returning for seconds plus did it mention it’s also healthy! This is a dish I make for my partner regularly as he loves peanut butter and it also has a great amount of high quality protein (from the chicken) to help his muscle recovery after working out. You don’t have to eat it cold if you don’t want to – you can heat it up but I find that it’s easier to just eat it cold and it’s still just as delicious hot or cold! Cook noodles according to package directions. Drain and transfer to a large bowl of cold water. Separate noodles with fingers whilst they cool. Set aside while you make the dressing. To make the dressing, place all ingredients in a bowl and mix well to combine. Set aside. Drain the noodles and leave in the large bowl. Add cooked chicken breast, bean sprouts, red capsicum, snow peas, red cabbage, baby spinach and spring onions. Pour over the dressing. Stir gently to combine. Separate onto two plates and serve. Top with optional sesame seeds or extra spring onions.